Main network hard fork at block 108000 to the new Lyra2REv3 mining algorithm to eliminate Lyra2REv2 ASICs and FPGAs. 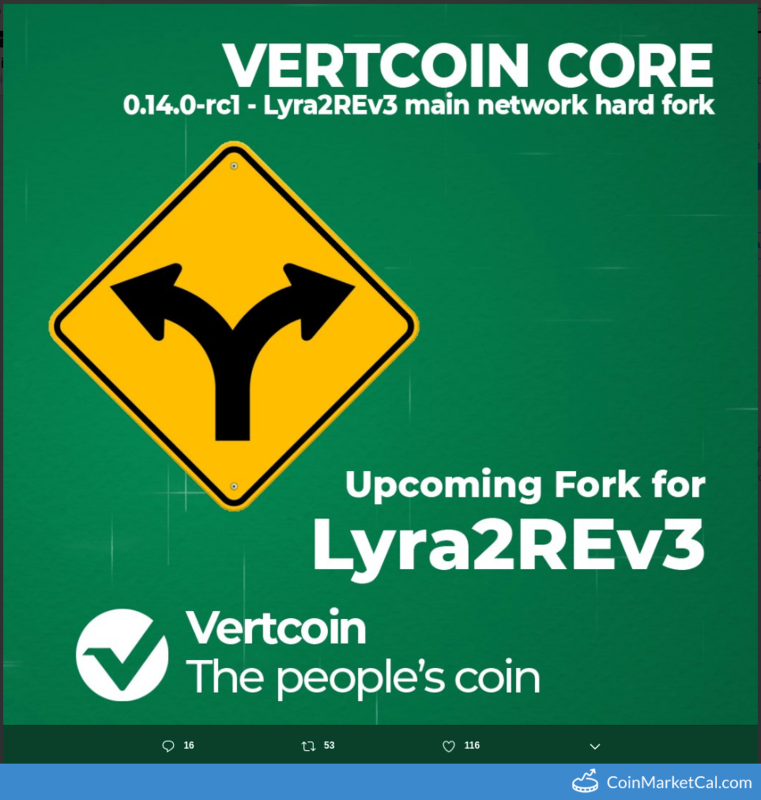 Hard Fork is a Fork/Swap event of Vertcoin (VTC) which was added in CryptoCrawl's database on Jan 1, 2019, According to our source Hard Fork will happen on 28 Feb 2019. For your reference, source and proof of Hard Fork has been attached below.